Requirement: All sanctioned shows must offer the Mini Medal and Junior / Amateur Medals. Open to Junior or Adult Amateur members of SNHSA. Riders may not cross enter into any class over 2'6" at the same competition. 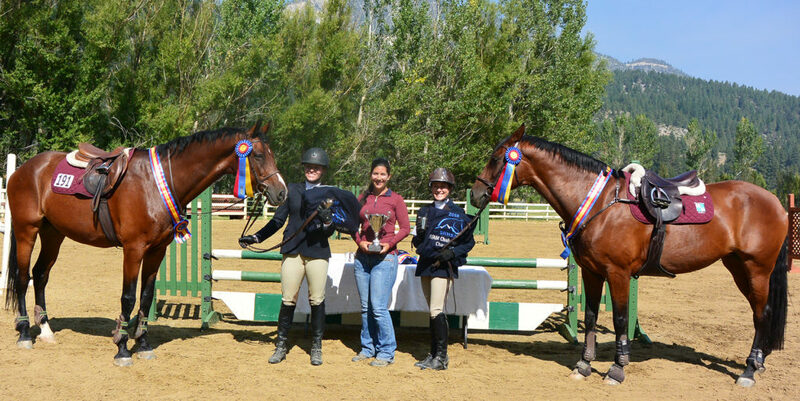 Rider and trainer must be SNHSA members. Registration of horse/ponies not required. To be judged on equitation of the rider. To be shown over a course of no less than six obstacles 2'6" in height. Two tests (1-9) of the USEF rule book are required during the first round. 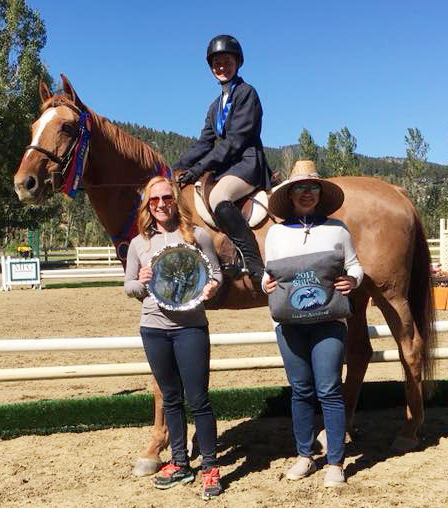 Only one rider per horse or pony. 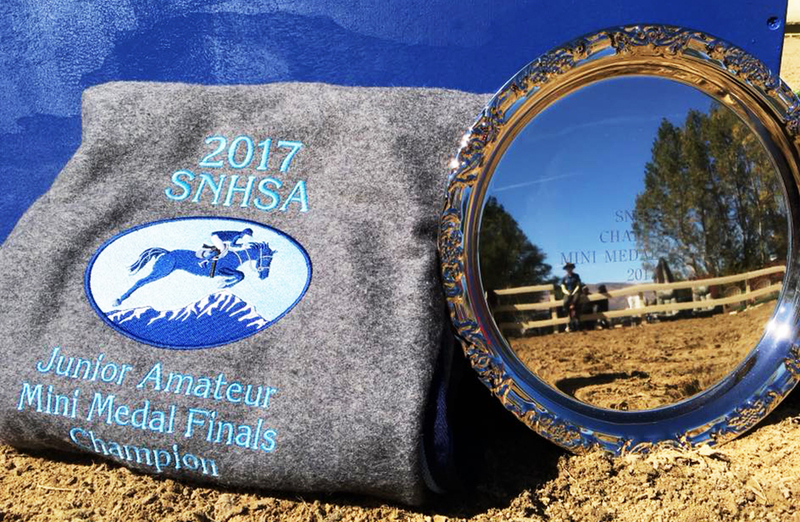 There must be at least two eligible entries to hold the Medal classes at any SNHSA sanctioned show. The top eight (8) riders, according to points, will qualify for the Finals. 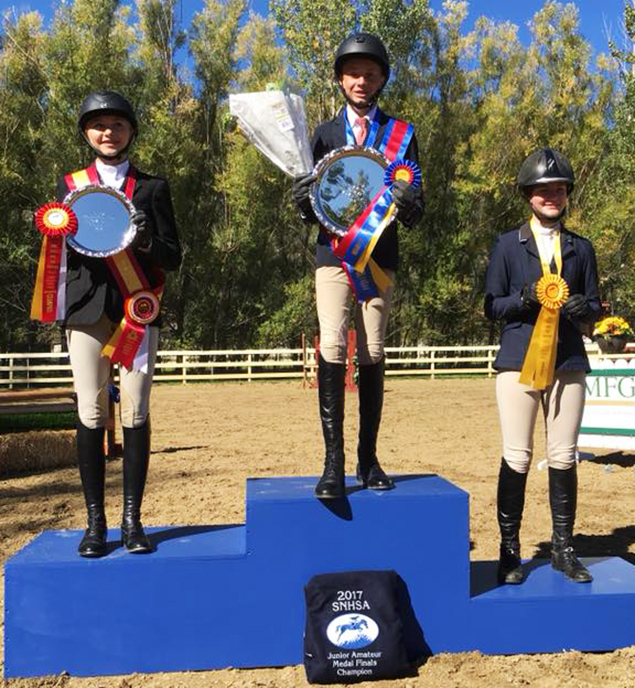 Riders in this class may not compete in the SNHSA JR/AM Medal class in the same year. 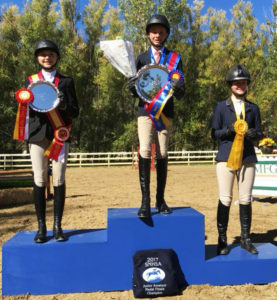 The winner of SNHSA Mini Medal Finals is no longer eligible to compete in the SNHSA Mini Medal Class. 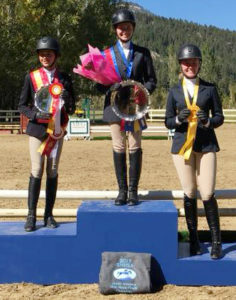 Mini Medal Finals winners may, however, compete in the JR/AM Medal Class. Open to Junior or Adult Amateur members of SNHSA. 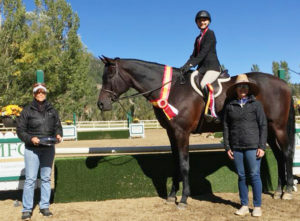 Riders may not cross enter into any class below 2'6" at the same competition. 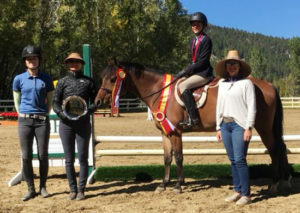 Rider and trainer must be SNHSA members. To be judged on equitation of the rider. To be shown over a course of no less than six obstacles 2'9" to 3' in height. Two or more tests (1 - 9) from the USEF rule book are required of the top four (4) competitors. Any exhibitor who does not participate in the testing is placed last of those exhibitors called back to test. 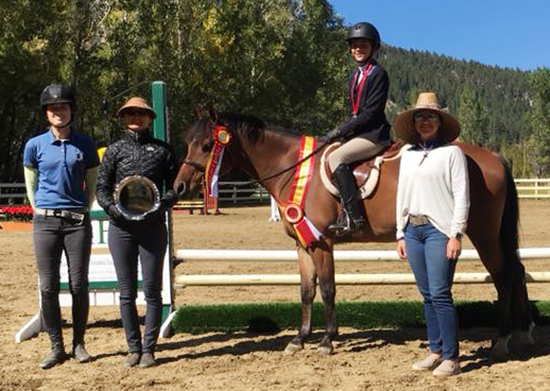 Only one rider per horse or pony. There must be at least two (2) entries to hold the class. 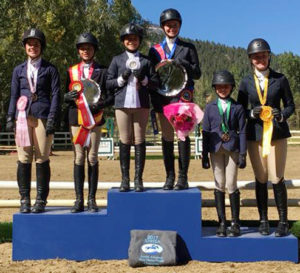 Riders in this class may not compete in the SNHSA Mini Medal class in the same year. 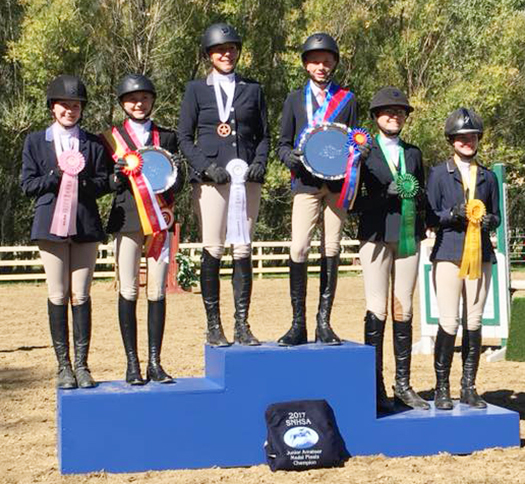 The winner of SNHSA JR/AM Medal Finals is no longer eligible to compete in the SNHSA Mini or JR/AM Medal Classes. 1. 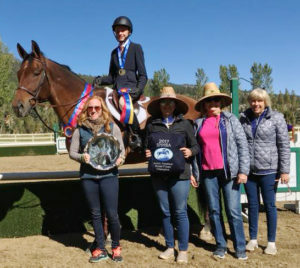 The SNHSA JR/AM Challenge Cup Tournament will take place annually at a facility and date voted on by the Board of Directors. 2. Riders competing in the tournament must be junior or amateur members of SNHSA in good standing. for time and penalties. Teams of two (2) will be permitted, but there will be no dropped score. 4. The jumper teams compete at three levels: .70 to .75m (2’3”-2’6”), .85 to .90m (2’9”-3’), and 1.0m (3’3”). Teams must have one rider at each level. For teams consisting of two riders, riders may choose any two of the three offered heights at which to compete. Substitution of horse or rider on a team may only be done with the permission of the show committee. Coordinating Hunt coats, saddle pads, horse leg wear, etc. is encouraged for each team. Teams must also declare a chef d’equipe. 5. 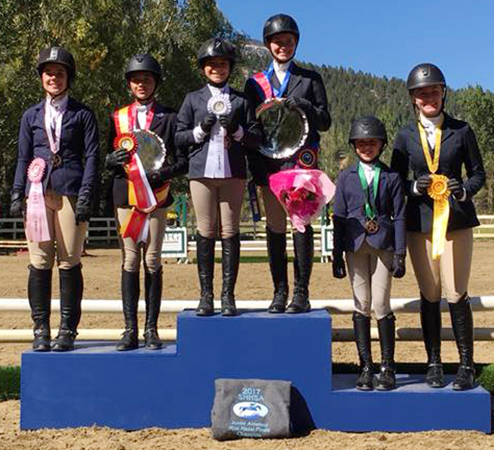 Those horse/rider combinations riding at .70 to .75m (2’3”- 2’6”) may not have competed at SNHSA shows over .95m (3’1”) during the current show year. 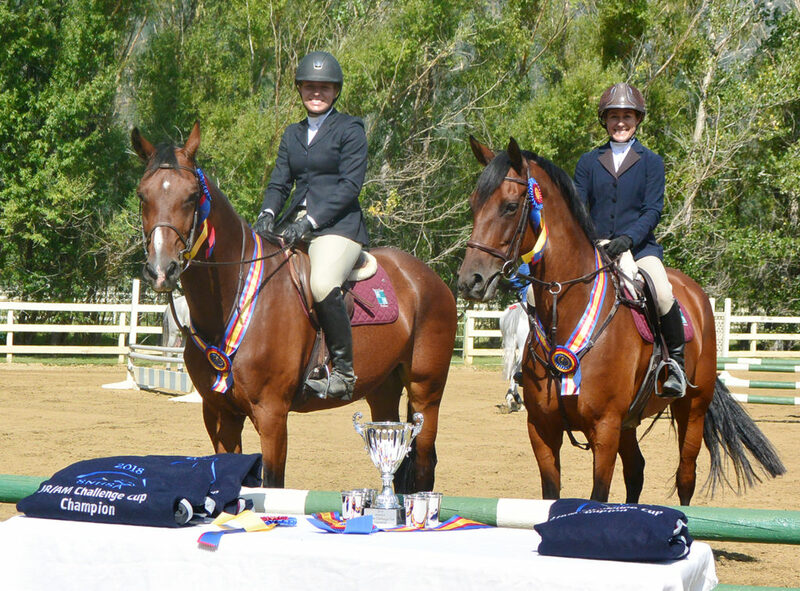 Each horse may only compete on one team. 6. Each rider will be scored for their round based on fewest faults in the fastest time over the course. At the end of Round 1, each team of three will drop their highest (most time and faults) scores. The remaining two scores will be added together for total time and total faults. The top eight (8) teams will move into Round 2. The highest of the three scores (not necessarily the same rider) will again be dropped and the remaining two added together. Then the Round 1 and Round 2 overall team scores are combined for a grand total. 7. The tournament will be conducted over two rounds using a jumper course of not less than 10 fences. All riders at a particular level will jump their rounds, fences will be raised to the next height, and all riders at that height will jump their rounds, etc. 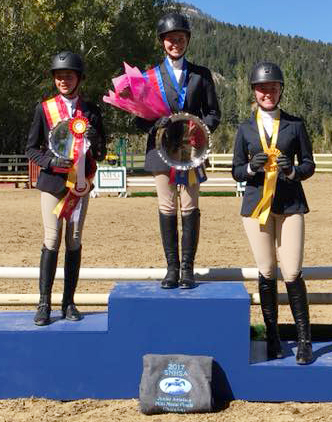 When all riders have jumped once, first round scores will be tabulated and the second round may begin. 8. At the conclusion of the second round, scores will be tabulated and the winning team declared. The team with the least amount of faults in the fastest combined time is the winner. 9. 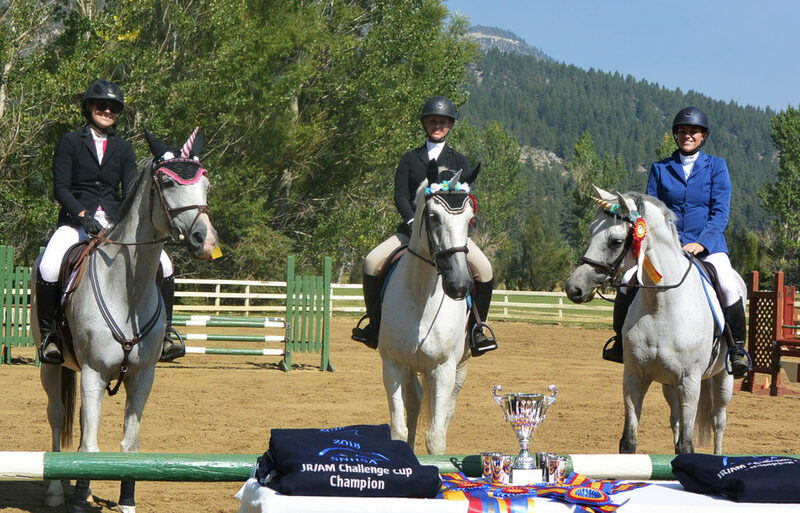 A Jump-Off will be held after Round 2, should any teams tie with a final combined score of 0 faults, regardless of time. 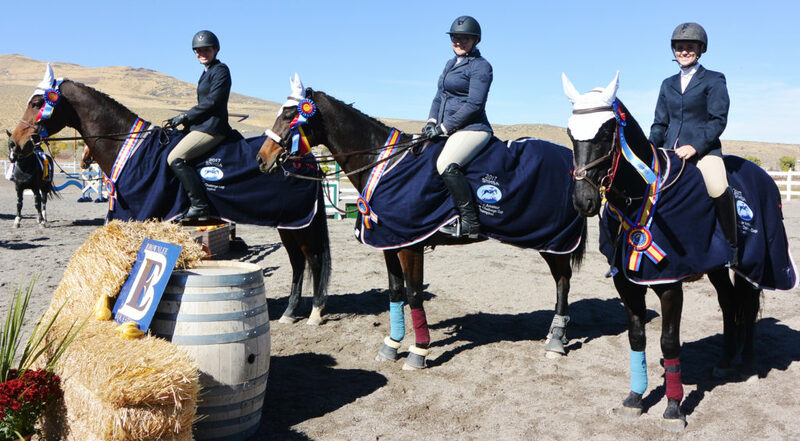 One rider shall Jump-Off for each team, elected by their team members and chef d’ equipe. For those tied with one or more faults, the tie-breaker shall be determined by the team with the fastest combined times from both Round 1 and 2. 10. 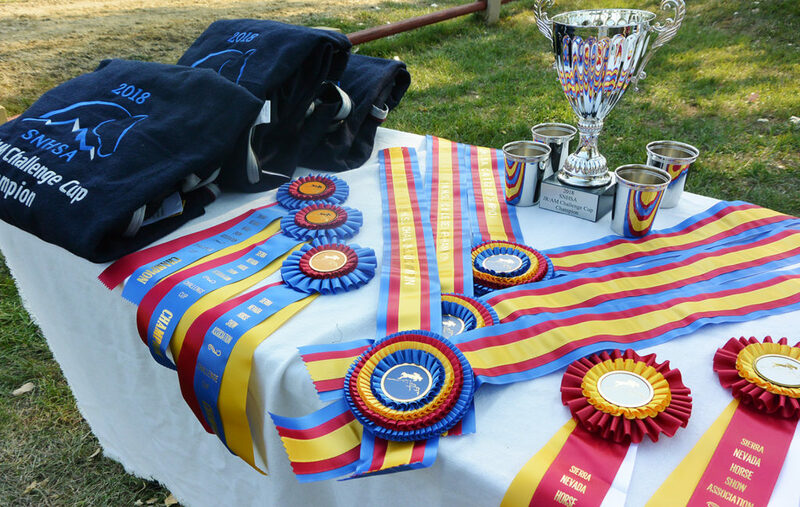 Team prizes to 1st and ribbons through 8th will be awarded.